William Scamp has been described as "a civilian architect who was working for the Royal Navy" (Shortland-Jones 3), which is true but hardly does him justice. He was a civil engineer of the first importance, who rose to become Deputy Director of Engineering and Architectural Works in the Admiralty, and was responsible for extensive improvements to many major naval dockyards: "The present Admiralty establishments at Malta, Gibraltar, and Bermuda, are almost entirely projected by him. Deptford, Woolwich, Sheerness, Portsmouth, Devonport, and Pembroke, owe many of their best buildings to him," stated the then Director of Admiralty Works in 1860, when Scamp was still at the height of his career (qtd. in Obituary 276). Born in Devon, near Barnstaple, into the family of a well-to-do maltster who owned trading vessels, Scamp soon developed an interest in engineering and architecture. His first commission came when he won a competition to design new Assembly Rooms at Ilfracombe. Then, as Clerk of Works to Jeffry Wyatt (later Sir Jeffry Wyattville), he was engaged in the restoration of Windsor Castle, a massive and highly successful scheme that involved unifying and romanticizing the various buildings (see Linstrum), showing "industry, perseverance, and energy" during the thirteen-year project (Obituary 273). He then became assistant-engineer in the Works Department at the Woolwich Dockyard, and in 1841 was sent to Malta under Captain Brandreth, Director of Engineering Works to the Admiralty. Here he designed and oversaw the building of new dock facilities in the Grand Harbour of Valletta, "and so paved the way for making Malta, what it [eventually became], one of the chief naval stations in the world" (Obituary 274). He also took over the project for the Anglican Cathedral there, funded by Queen Victoria's aunt, the dowager Queen Adelaide. Later, he returned to Malta and was responsible for the enormous task of extending the Grand Harbour (see "The Victorians in Malta"). Ellul, Michael. Maltese-English Dictionary of Architecture and Building in Malta. Sta Venera, Malta: Midsea Books, 2009. Grech, Jesmond. British Heritage in Malta. Sesto Florentino (Fi): Centro Stampa Editoriale (Plurigraf), 2003. Linstrum, Derek. "Wyatville (formerly Wyatt), Sir Jeffry Barry (1766-1840)." Oxford Dictionary of National Biography. Online ed. Viewed 5 March 2010. "Malta Family History." Viewed 5 March 2010. Obituary of William Scamp. Proceedings of ICE (Institution of Civil Engineers). Vol. 36, issue 1873: 273-8. Shortland-Jones, E. A. St Paul's Pro-Cathedral, Valletta. Valletta: Beck Graphics, 2000. (A condensed form of this can be found at the Pro-Cathedral's own website). Smith, Stanley. "Ordish, Rowland Mason (1824-1886)." Oxford Dictionary of National Biography. Online ed. Viewed 5 March 2010. Tagliaferro, John Samut. 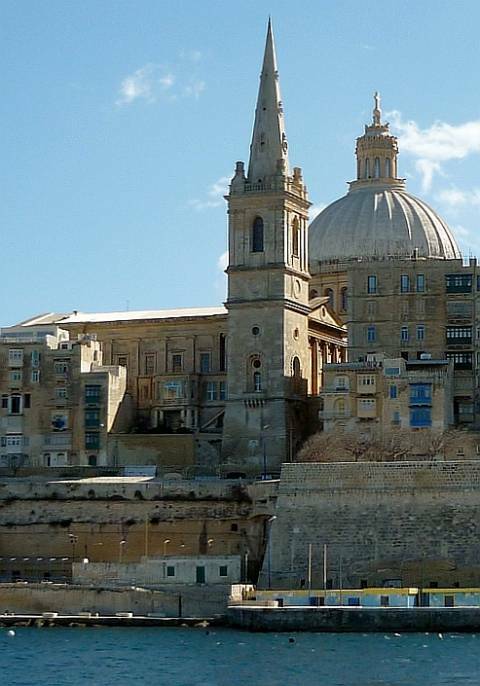 Malta: Its Archeology and History. Luqua Malta: Plurigraf (Miller Guides), 2003.